We've teamed up with the legendary Buckmore Park circuit to host the first ever WTF1 Grand Prix and we want YOU to join us! We figured it was about time we had a big get together or some sort, and what better way to do it than by having a kart race. Because everybody loves karting, right?! On Saturday 11 August, the inaugural WTF1 Grand Prix will take place at Buckmore Park, one of the best karting venues in the UK. Following a 30-minute practice/qualifying session will be an hour-long race, with each kart being driven by a team of three people. 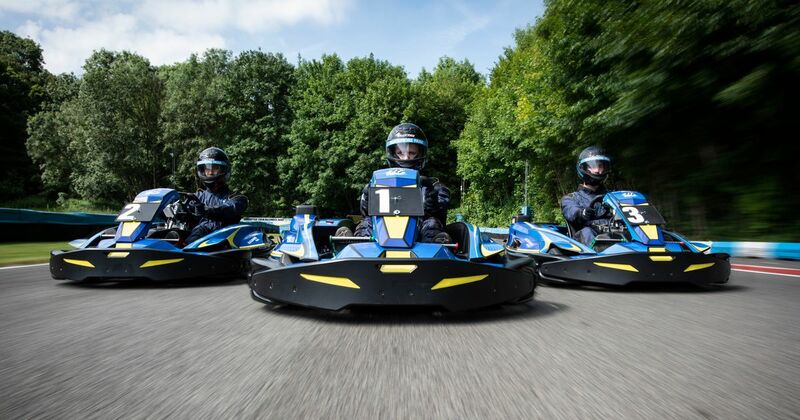 If you can’t muster up a team of three, you can enter individually and you’ll be teamed up with other drivers on the day. It’s not all going to be all about the karting, though. If you just want to come along and spectate you’re more than welcome to do so - we’ll have a few special guest racing drivers in attendance and there’ll be plenty of off-track activities to get involved with, too. For more information and to book your place for the karting, click here. If you have any questions about the event you can email Buckmore Park at sales@buckmore.co.uk.